WHAT ARE IBEACONS AND HOW CAN WE USE THEM IN CAMPAIGNS? In Roman Bri­tain com­mu­nic­a­tion under the cover of dark­ness was car­ried out with fire. Forts would place bon­fires on top of the highest hill­tops. Fire meant “we’re under attack!”, no fire “everything is ok”. Neigh­bour­ing forts would pick up these sig­nals and be able to work out the status of the chaps down the road. How­ever if dis­tances became too far the light would become dim and com­mu­nic­a­tion impossible. Well this is just like iBeacons a new Bluetooth tech that we can use in cam­paigns today. Thank­fully at present there’s no blood, gla­di­at­ors or fire involved. 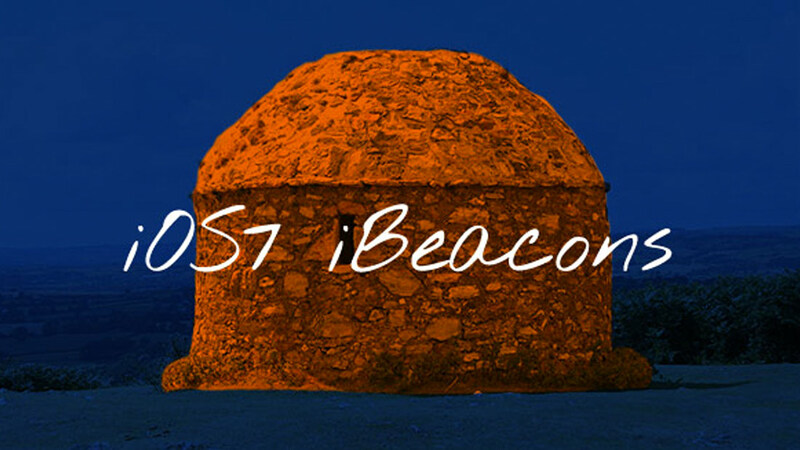 iBeacons is a new API in IO7 that allows any iOS device with a Bluetooth 4.0 chip in it to know where it is in rela­tion to other BLE devices, includes other iPhone and Bluetooth Beacons. iBeacons allows devices to chat to each other, relat­ing their loc­a­tion in real time without the need for Wi-Fi or GPS. Brands such as Cad­bury, Red Bull and Honda have used Bluetooth tech­no­logy in the past for cam­paigns. How­ever this type of tech is con­stantly chan­ging and things have moved on since then. So how can you integ­rate iBeacons tech­no­logy into your cam­paign or project? In the clip below iBeacons were put on spe­cific loc­a­tions next to art­works in a gal­lery. When the user stands next to the art­work they could see and hear inform­a­tion related to the art­work. This is a much bet­ter solu­tion than wear­ing unhygienic multi share head­phones in my opin­ion. Per­haps the cliche museum goer clad in head­phones will be shortly be a thing of the past. In this promo video cus­tom­ers vis­it­ing a loc­a­tion to get spe­cial deals based on their geo prox­im­ity to the iBeacon. Here the cus­tom­ers walks into a bar and the iPhone senses the iBeacon. The end res­ult is that a beer is poured at a dis­count rate! Here we see a sys­tem where mul­tiple beacons have been set up so the users exact loc­a­tion can be found. Per­haps this tech­no­logy could be used for track­ing where cus­tom­ers have to stand in a spe­cific spot to receive a discount. iBeacons could be placed near an out­door ads so that the treat only activ­ates when a user is close, send­ing inform­a­tion to the users phone. Houses and cars could be unlocked using our iPhone. The rattle of keys no longer. Set­tings could be sent to devices wire­lessly and effort­lessly so you’re ‘logged’ into you TV in a mat­ter of minutes. Over­all there seem to be many poten­tial cre­at­ive uses for iBeacons. Com­bine this tech­no­logy with exist­ing tech and one can but only ima­gine the results.